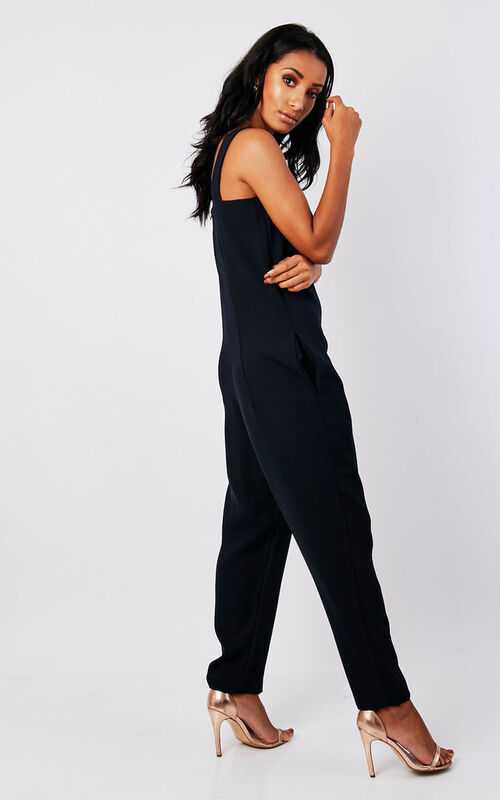 The deep navy Tessa jumpsuit is elegant, versatile and perfectly comfortable. The square neckline is flattering and classic, while the loose fit and the deep pockets add an element of casual chic. Pair with heels and a clutch for an evening look. Model is 5'7 and a UK size 8. She wears a size 8 jumpsuit. The fit of the jumpsuit is loose, and the leg is straight cut style.